After being given a £100 Amazon voucher earlier this year, I had a bit of a crazy moment and for some bizarre reason, wasted it all on things that wouldn't be out of place in a ten year olds bedroom. 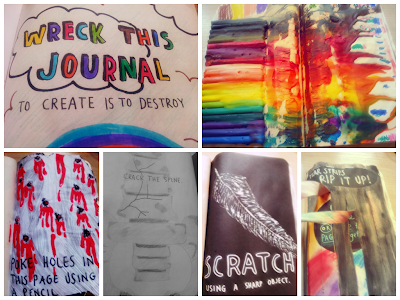 For example, a lifetime supply of Fun Snaps, Lego Creationary and the focus of this post, a Wreck This Journal. Wreck This Journal is a book created by Keri Smith. 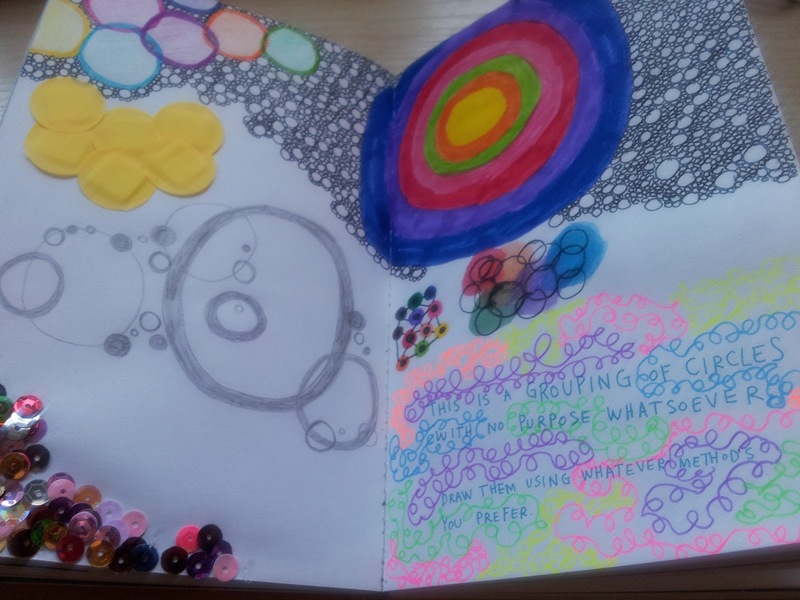 The book is kind of like an activity book, in that there are instructions on each page and you are meant to interpret the instructions in whatever creative way you wish. When I first came across this on Amazon, I decided to search for it in YouTube to get an idea of some of the instructions and how people had interpreted them and was pleased to find videos of people flicking through their own completed books. 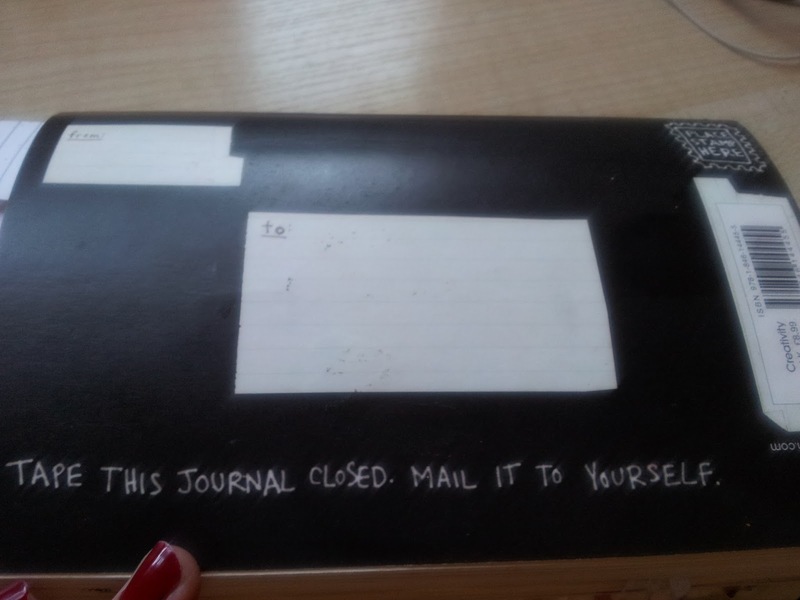 After I'd seen some of the cool things people had done on each page, I decided to forget about the fact that I'm actually 21 and not 10 and buy one. I've had my Wreck This Journal for a few months and have finished a few pages in it but there are still many left to do. However, I thought I would share some of my pages and talk about the journal on my blog because personally, I don't think enough people know about this book and I would've loved something like this as a kid. 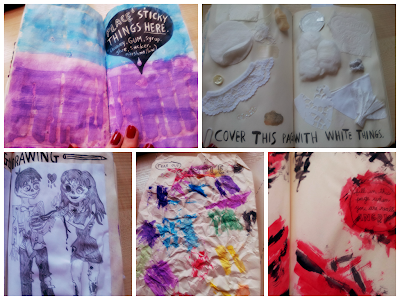 So here are a few of the pages I've done, and please bare in mind, I cannot draw to save my life and to be honest, had I given the book to my 6 year old sister, she probably would've done a better job, but I've had a blast doing it so I don't care! I cant wait until its finished and I can do this bit! 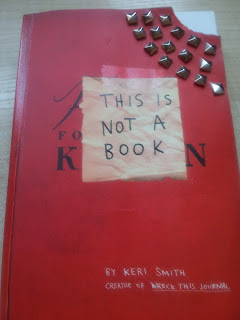 After seeing how excited I was about my journal, my flatmates also went on to buy similar books from Keri Smith's range such as Mess: The Manual of Accidents and Mistakes and The Pocket Scavenger. I also bought another of her books entitled This Is Not A Book, which is similar to Wreck This Journal but with a different spin. These books are a great gift idea for any creative child, or anyone who is a big kid at heart like me. They would also be a great activity for the summer holidays, when struggling to find things to occupy them, and will be fun to look at in years to come. 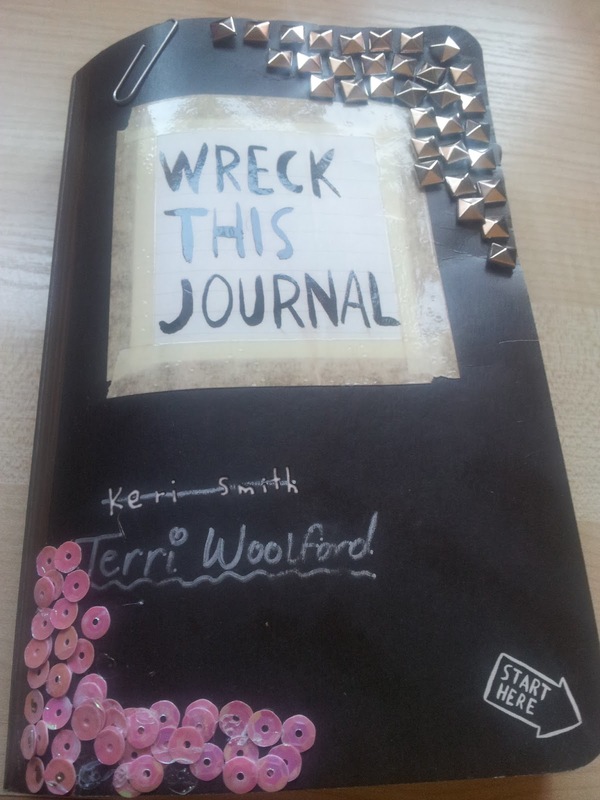 Wreck This Journal and all the other books I have mentioned are available on Amazon for less than £10 each, so grab a bargain and have some fun with it!